Fr. Hewko has also preached on several occasions that we should not attend the Masses of Bishop Williamson. Now I must admit that I have never heard Fr. Pfeiffer publicly say these things. However, I remember driving Fr. Pfeiffer to the Toronto airport after Mass on March 12, 2017 and I asked him whether he would celebrate Mass with Bishop Williamson. Fr. Pfeiffer responded that he doesn’t think he would. Nonetheless, the true (and even fake) Resistance faithful know that if a bishop or priest publicly teaches errors we should avoid his Masses. We apply the red light to neo-SSPX Masses and the same we do to fake Resistance Masses. My friends, please consider this. Imagine if Fr. Pfeiffer and Fr. 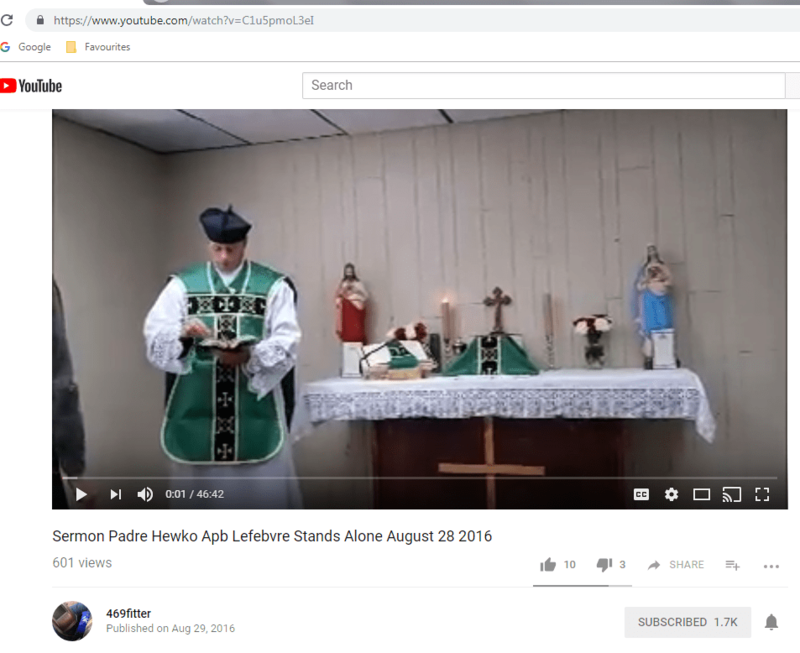 Hewko wrote to Bishop Fellay to come to the Our Lady of Mount Carmel church and seminary to administer the sacraments despite the fact they preach that Bishop Fellay teaches errors. What would be your reaction? I hope it would be one of shock! Now if Bishop Williamson is the leader of the fake Resistance, does that not place him in the same category as Bishop Fellay? Yes; it does. The common ground is that they both teach errors. The difference between the two bishops, then, is only a matter of degree and not of substance. So for Fr. Pfeiffer and Fr. Hewko to preach one thing and then do another is very troubling. Furthermore, the Kentucky Fathers’ willingness to have Bishop Williamson come administer the sacraments is a variant of tradecumenism, which was also condemned by them (see here). Therefore, the question needs to be asked whether or not Fr. Pfeiffer and Fr. Hewko are also part of the fake Resistance. 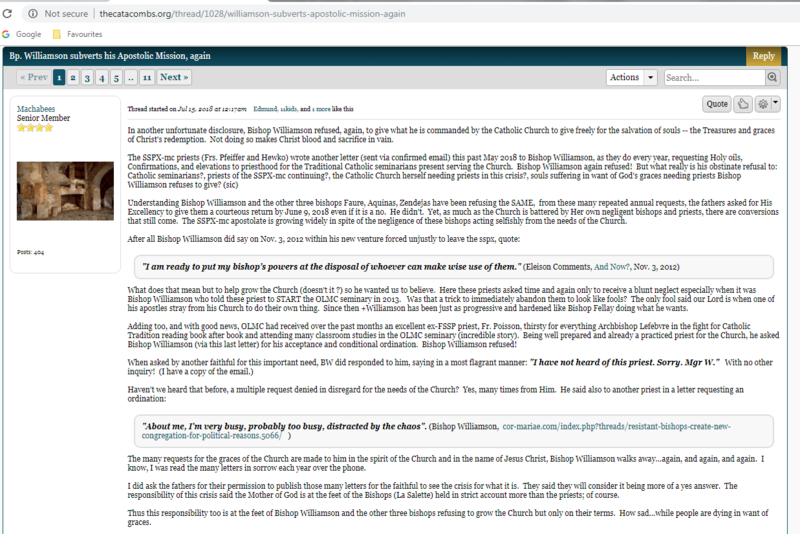 I wrote to the Fathers at least twice regarding their letters to Bishop Williamson and neither of them responded to me. 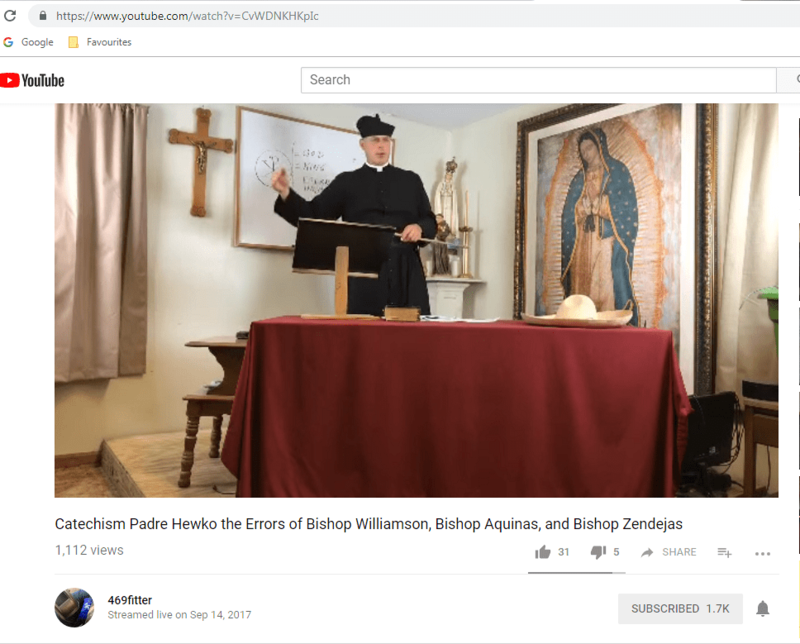 Now some defenders of the Kentucky Fathers might argue that the need for future true Resistance priests takes precedence over Bishop Williamson’s errors. 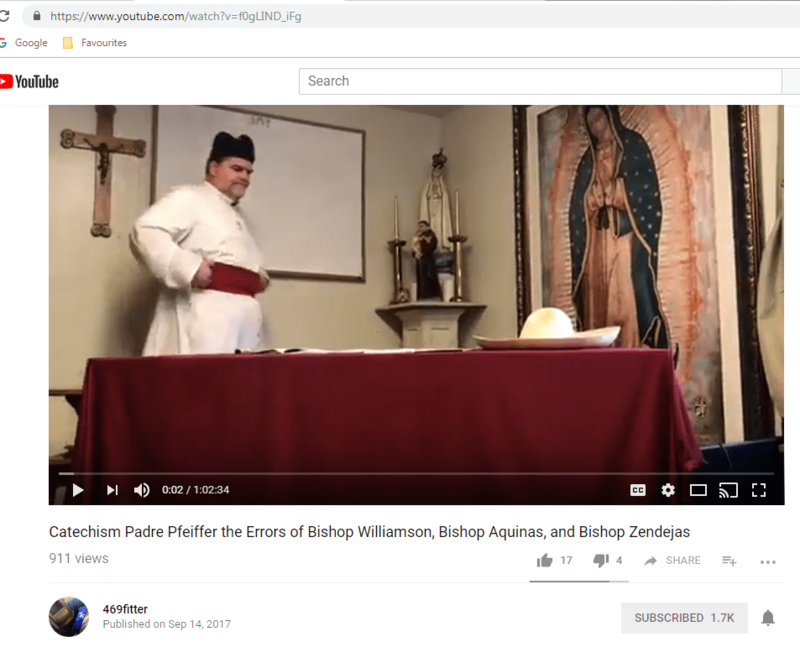 If that is the case, then those defenders should have no problem with the Kentucky Fathers asking a neo-SSPX, Sedevacantist, or a Vatican II adhering bishop consecrated before 1968 to come and perform ordinations for the Our Lady of Mount Carmel seminarians. After all, as long as we have a moral certitude of validity, what’s the problem? Well, the problem is that doctrine comes first. Our fight first and foremost is a doctrinal one. To set aside doctrine is no better than what the neo-SSPX is doing with Modernist Rome. To set aside doctrine really undermines the very basis of our decision to be in the true Resistance in the first place. How, then, will the Catholic Church continue without future priests? This is not the concern of Fr. Pfeiffer or Fr. Hewko because being simple priests they do not have the sacerdotal power to make new priests. A seminary requires a bishop because the output of that seminary are priests. A priest has a moral obligation to run a seminary only if he is commanded to do so by a legitimate superior, but it is that superior that must provide the bishop. Since Fr. 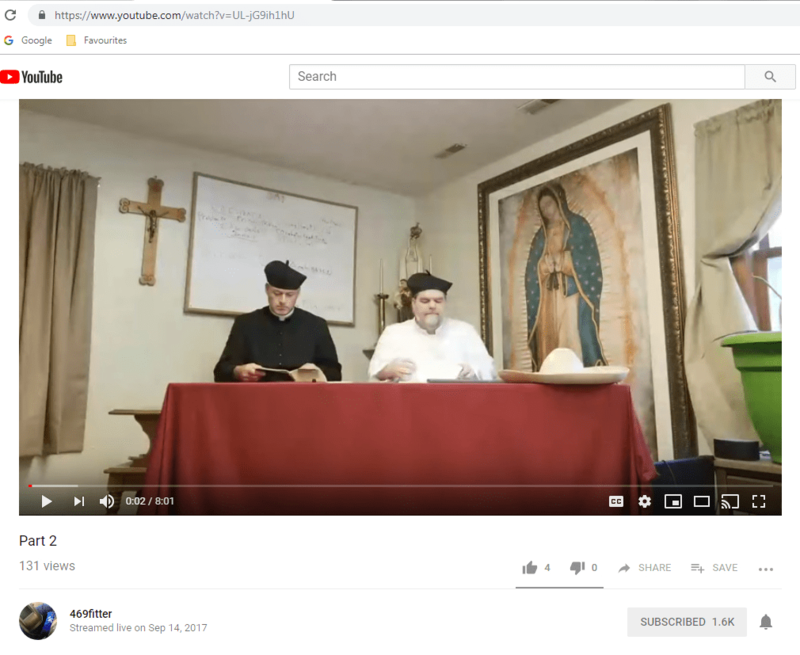 Pfeiffer, a simple priest, runs the Our Lady of Mount Carmel seminary, but is not being commanded to run it by any legitimate superior (who would anyways need to provide a bishop), he has no moral obligation to run it. Yet he speaks and acts as if he does have moral obligation to do so. This leads him to seek out the ministerial services of a compromising bishop (or even one that has questionably valid orders). This places in danger the Faith (or even the validity of the sacraments) for the sake of a seminary. In essence, that which Fr. Pfeiffer is morally obliged to provide (e.g., the Faith and valid sacraments) becomes endangered by that which he is not morally obliged to provide (e.g., a seminary). In my communications with Fr. Rafael, O.S.B., regarding this matter, he stated that Fr. Pfeiffer should not set aside doctrine for the sake of the sacraments and should be willing to lose each and every seminarian rather than compromise with the fake Resistance or questionably valid bishops. I must agree. Let us keep the Kentucky Fathers in our prayers.